When we work with clients in marketing website design we often show them How to Spot Profit Opportunities in Their Business. And it’s often quite easy to do because getting an external view gives you the objectivity to look from the outside in. Here we share some of the easiest ways to Spot Profit Opportunities in YOUR Business. Today, we’re going to look at How to Spot Profit Opportunities in Your Business. 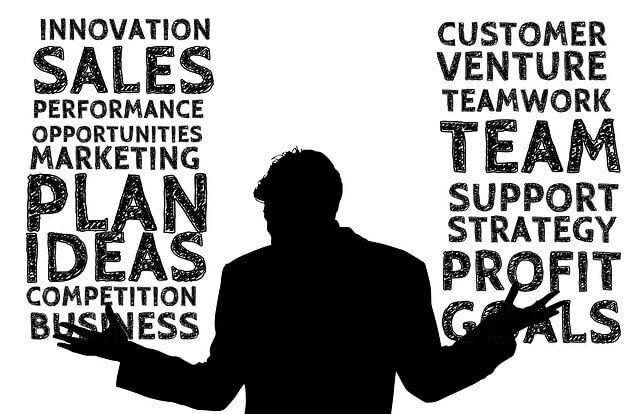 This is all about your product range and your service offering in your business to see whether there are ways where you can expand this out a little bit, so you’re able to sell more things to more people and, possibly, even more things to the same people that you already do business with. What do your clients and prospects ask for? First things first, one of the easiest things to do, when you’re looking at what it is you sell, is to think about the questions that you get asked by your customers and potential customers. And you should always, always monitor what your customer is saying to you, and whether they ask you whether you’ve got such and such product or service. If enough people ask you this, then chances are good that, in their minds, they’ve connected you as a potential supplier of these particular products or services. And they’re looking to you to fulfil their need. If they ask if you sell it, they’re looking to buy it, or they’re interested in buying it. And, as I said in a previous video, four out of five people who make an inquiry on a product or service eventually go on to buy it. Maybe not immediately, but 80% of people go out and eventually buy it. Now, even if you can’t help them, you’re still not giving up on the prospect of being able to supply that product. If you get their contact details, you can get back to them, and let them know, “Yes, we’re putting this into place. Bear with us.” Or, simply say, “No, I’m afraid we can’t help you this time, but maybe these guys can. Let us know if you need any further help.” Either way, you’re not letting somebody who inquires about a service or product off the hook. It’s a travesty for you to just say, “No, we don’t do this.” If you generally don’t, can’t, and won’t, fine, do that. But, just get their contact details anyway, add them to your database, they might buy something from you at a later point. How to Spot Profit Opportunities in your business – it’s easier than you might think. Another good thing to look at is product variations. There’s many ways of mixing up what it is that you do already to reach a wider market. If you sell designer clothes, for example, it could be that some people in your market would like a red jacket as opposed to a blue one. Have you thought about whether just adding that to the product list, as a product variation, is going to enable you to sell more product? With services, are there ways you can amend what you do to meet a different target market? For example, if you work with, say, people who run shops, for example, is there a way you can work with a variation on your product or service to help people in offices for example? It’s entirely up to you, how you frame it, but there’s almost always ways to get product variation in there. Obviously, as I’ve mentioned just a short time ago, you could introduce new products. And, again, that comes back down to understanding your market, and what they’re interested in. And you could do some test marketing, dirt cheap, using your social media. If you’re big on Facebook, use Facebook. You could put out a Twitter survey or LinkedIn survey. You can ask people in your audience whether this would be useful to them. And, if it is, what kind of money they’d be interested in paying for it, and whether it’s something that they’d consider if you offered it. Again, if you don’t ask, you never know. It’s not going to cost you anything to find out. So how can you add new products? Wanna go large with that order? Another great way of working this out is to consider offering upgrades to things. This is something we’ve introduced a lot over the last few years with our web design business. 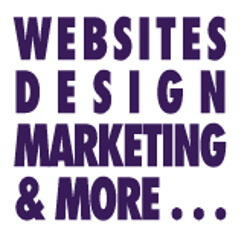 We offer varying packages of web design with additional help, support, some SEO, some marketing thrown in too. And interestingly enough, because we have the upgrades there, the overwhelming majority of our customers buy an upgrade. The lowest price, entry-level product is bought by roughly one-third of our clients. Most people just buy the middle package of the three. So can you provide an upgrade? Is there an additional service or an additional product for an advantageous price that you can offer to your customers? Another one, which we’ve really latched onto over this last year, and there’s a bit of a story behind this because I had a chat with our marketing coach, Paul Chapman. That was in the spring of last year, 2016 and we looked at different ways to get more value out of the business. I thought that, as a web design company, we were doing some web design, we were doing web hosting, a little bit of support here and there, occasionally a bit of training. And I thought there were just four or five different ways we could provide income from our business. After sitting down with Paul, we worked out that there was actually ten — at that time, there was ten different ways that we could provide income coming into our business, different services and products that we could package up and do. What’s interesting is that much of it revolved around the fact that we were doing stuff for clients and not necessarily charging them for it. We were providing services that we hadn’t even thought about packaging up. We were just giving them away. Now, that’s all well and good to a point. You want to help people, you want to provide a great service, you want the customers to be happy. But, if you’re spending an awful lot of your time just servicing customers who ask you to do little bits and pieces here and there, then you could spend your whole time giving away all of this free help, and not actually generating any income. That wasn’t quite our position, but it was becoming a bit of a challenge. What about packaged products and services? So we introduced a couple of package products to some of our more, I would say, demanding customers. But we simply said, “Look, if you buy this package, we’ll give you X amount of help or support.” Now, that was unique to us. We’re now introducing almost all of these different products and services, and we’re revising what we do in terms of what we offer to whom, and how much it costs, and we re-visit this regularly. But the key is, are you doing stuff for your customers that you could quite readily package up and sell? You need to bear in mind that many will buy it, many won’t. That’s just the nature of the game. But, at least, you’ll be getting paid for some of the work that you used to give away. And there’s nothing wrong with that. You have a business to run, you have an income to generate, you probably have a family to feed, and why would you not want to get paid for the work that you’re doing? It just makes no business sense. So have a think about what are you currently doing that you’re giving away that you could quite readily package up and sell? Can you develop referral fees? And, finally — I mean it’s not finally — but for this video it is, there are times when we genuinely can’t do stuff. Sometimes, we’re being asked to do things that we don’t have the technical skills, we don’t have the managerial skills, and sometimes it’s just a project that we don’t want to get involved in because it’s way beyond what we normally work on. And there’s a lot of risk in that. It’s a great way to bring in loads of business, but if you’re not confident you can fulfill it, then it’s a recipe for disaster if it’s not done well. To be honest, we don’t need to go there. But the point is this, when we do give work away, when we hand it out to other people, we always make sure that there’s an affiliate arrangement in place. Likewise, when people give us work too, we always make sure that there is some way of giving recompense to the person who passes us a job, or contract, or a potential client. And likewise, if you’ve got stuff that you don’t do, and won’t/can’t do, like in our particular case, then if you give that work to somebody else, try and arrange an affiliate fee. But that’s just between you and the supplier. You can tell the people who originally came to you that, “Yes, we’ve gotten an affiliate arrangement with these guys. We’re going to get a fee for having passed it over.” If you want, you’re not obliged to, unless you’re in financial services, in which case you have to declare it. But, if you’re working with another organization and feeding them work which is not within your sphere of expertise, then there’s nothing wrong with you saying, “Look, well, what’s my fee for passing you this client?” And that might, again, sound a little bit mercenary; but, ultimately, you’re winning work here. Because you can’t fulfill it, it’s not necessarily your fault, so there’s nothing wrong with passing that work over to somebody else and getting paid for it. It’s just like being a commissioned salesman. So don’t neglect affiliates. If there are things you cannot do, or don’t want to do, but you pass it on to other people, never, ever be afraid to simply say, “Well, what am I going to get out of this?” And that’s not unreasonable, and most people in business are reasonable people. 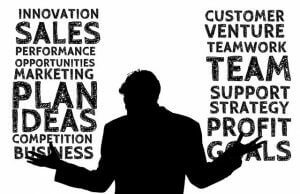 Just a few ideas then for you to help you to work on your product base, or your product software, and to expand out your business. The interesting thing is, is that you can sell many of these additional or variable products to your existing customers. You can easily increase your sales without having to go out and find a whole load of new people into your business. You can offer this stuff to existing customers. And that’s what we’ve been doing over this last year, by offering upgraded services, managed hosting services, etc. We’re just in the process of introducing some training packages in the near future. So it’s all going to go out, first of all, to our existing customers. Why? Because they’re the low-hanging fruit. Most of them like doing business with us. In fact, all of the ones we keep like doing business with us. And they’re likely to be the ones most ready in the market because they know us, they trust us, they like us. We work hard. We’ve done well for them in the past. So why wouldn’t they give it serious thought? And then, once that’s done, then we can go out to a wider market. Please remember that, if you put this stuff into action, things will happen. If you don’t, nothing is going to change. But this stuff really isn’t difficult. And, if you want help with How to Spot Profit Opportunities in Your Business then give us a call on 0116 3552194. We’ll be more than happy to come down and work out where the potential income opportunities are within your business. Sometimes you don't need new customers to improve your profitability. In this article and video you'll discover 6 simple ways of improving profits by tweaking what you're already doing and without spending any money on additional marketing.